Monday, we talked about the individual stories of success in and around Disney presented throughout the plaques and the windows of Main Street U.S.A. This is one sight, however, that speaks to the volume of individuals whose combined efforts make each and every day a magical, successful event. 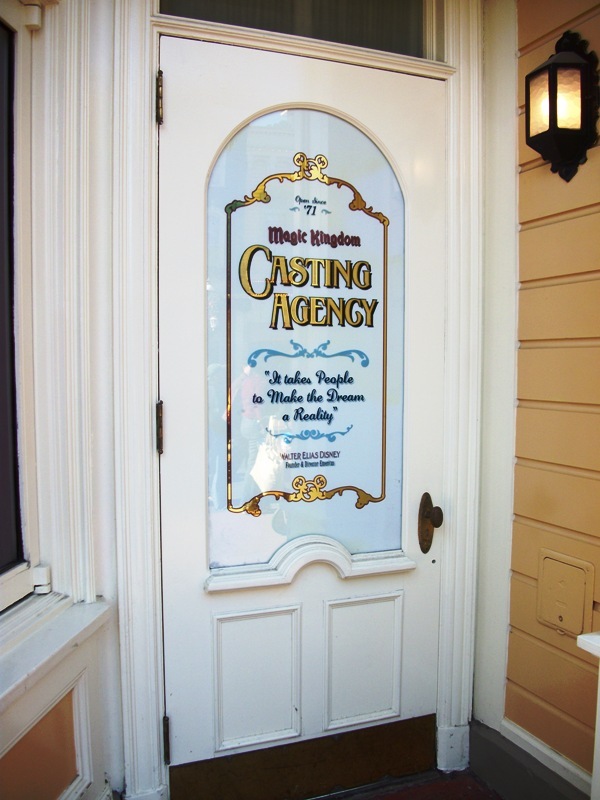 The venue I am speaking of is the Magic Kingdom Casting Agency door that also resides on Main Street U.S.A. Unlike the lofty windows of Main Street U.S.A., remember to always look up, this door is on the street level and accessible to everyone. Add in a pair of decorative Mickeys and the opening date for the office, as well as the Magic Kingdom, listed as Open Since ’71, and you have the makings of a wonderfully charismatic scene. A place that encourages guests to recall the Cast Members that make each day memorable. Love that door! I have that photo and planned to post it someday. I'll wait a bit.